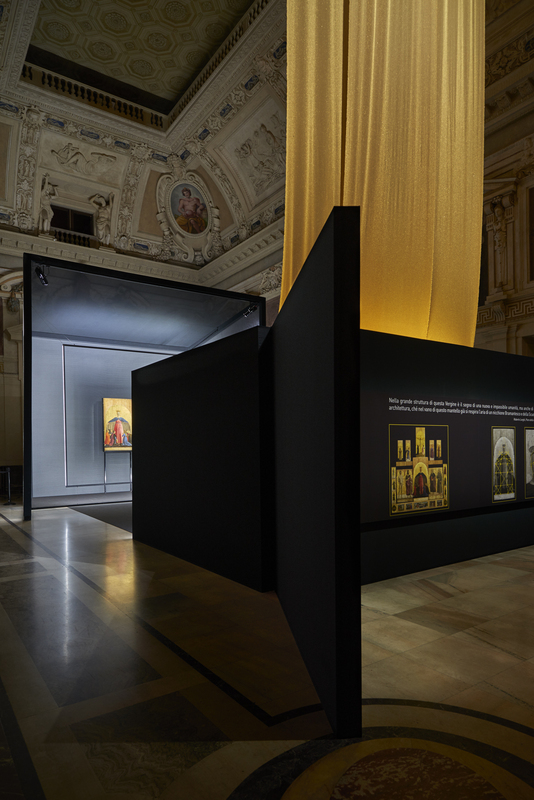 “A narrative, meaningful itinerary, made of light and dynamism, which combines different heights and prospects in order to bring the visitors to face to face with the painted panel, with its being part of the polyptych that encloses it and with its history. 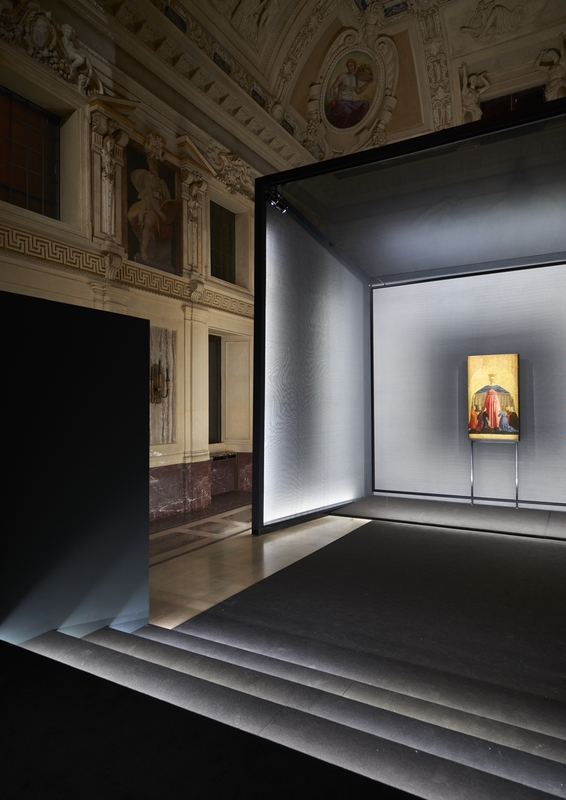 In its conception this process is viewed as a sort of lay precession towards an understanding of one of Piero della Francesca’s masterpieces. 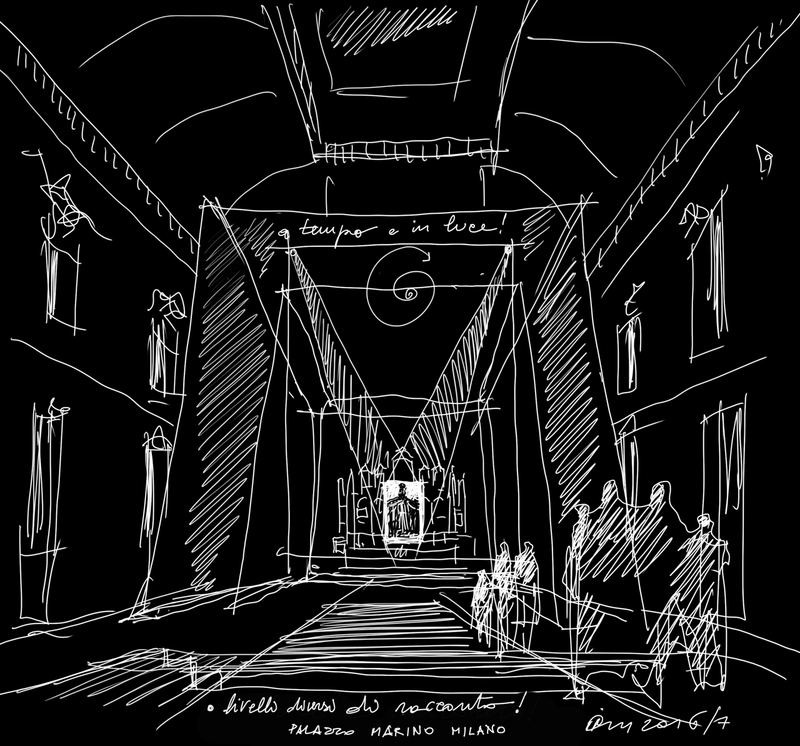 An approach structured into four successive moments that, through dynamic scenic and narrative sequences gradually reveals and contextualizes the work. 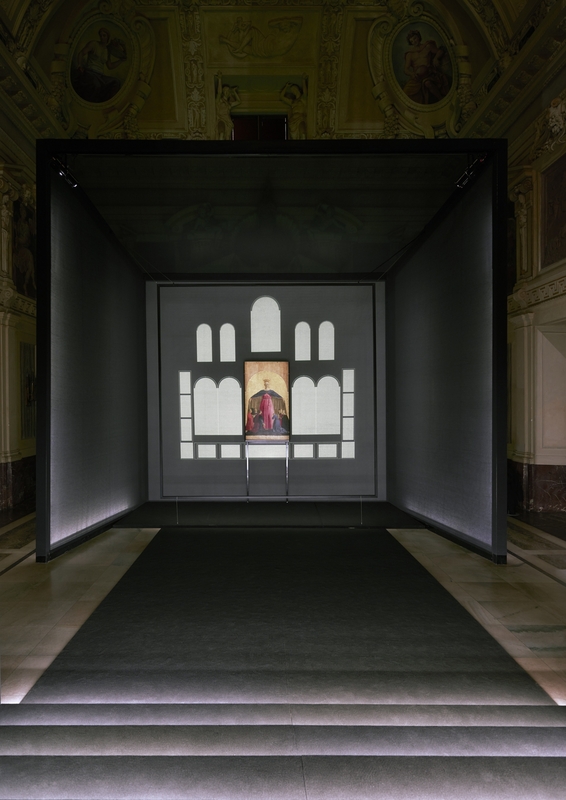 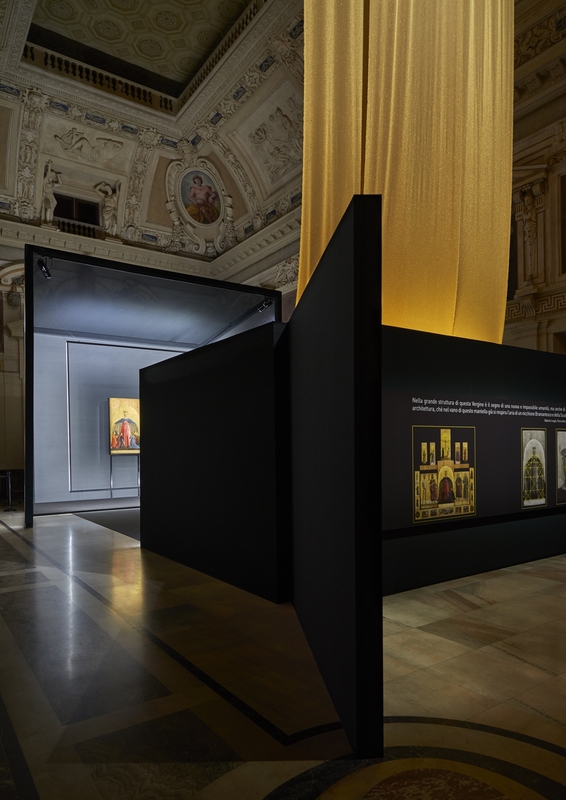 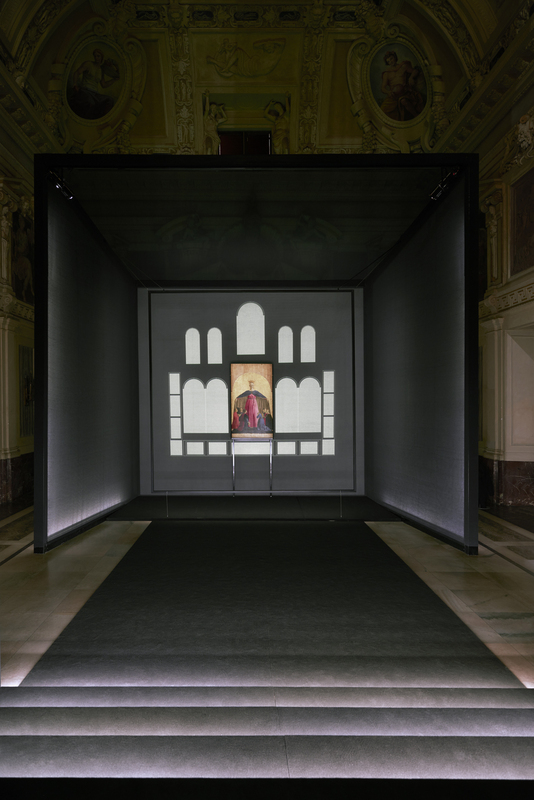 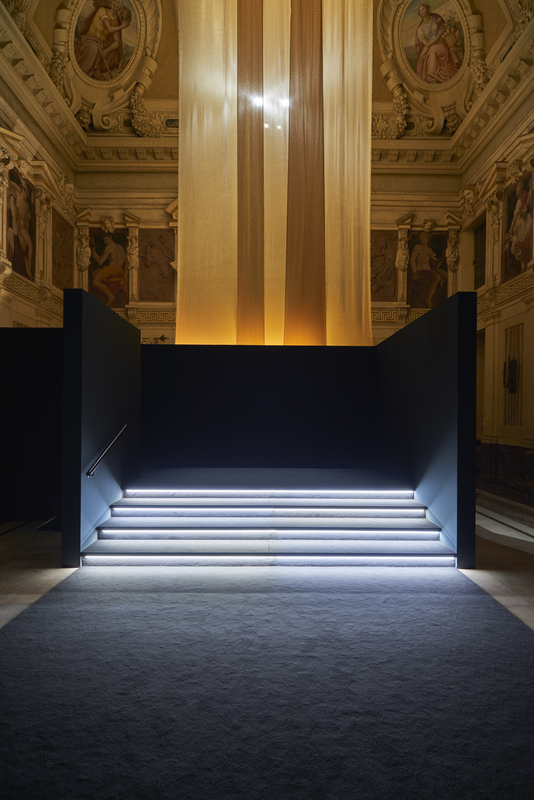 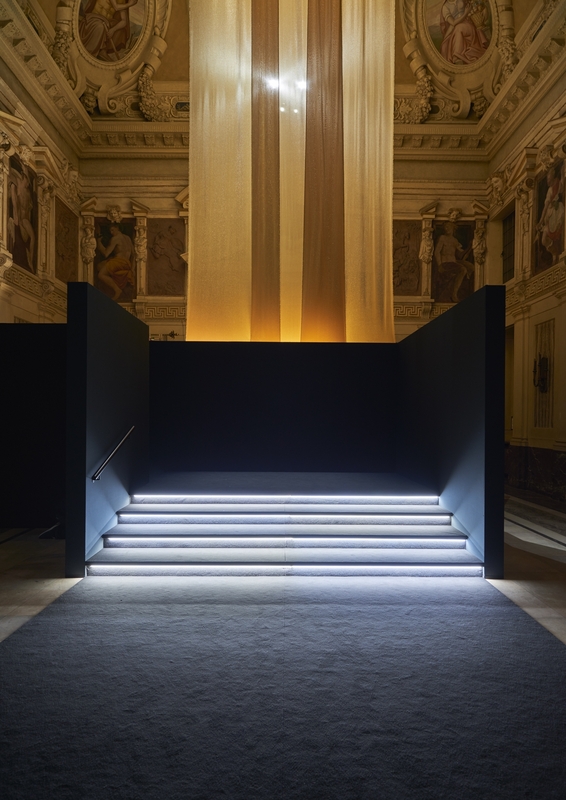 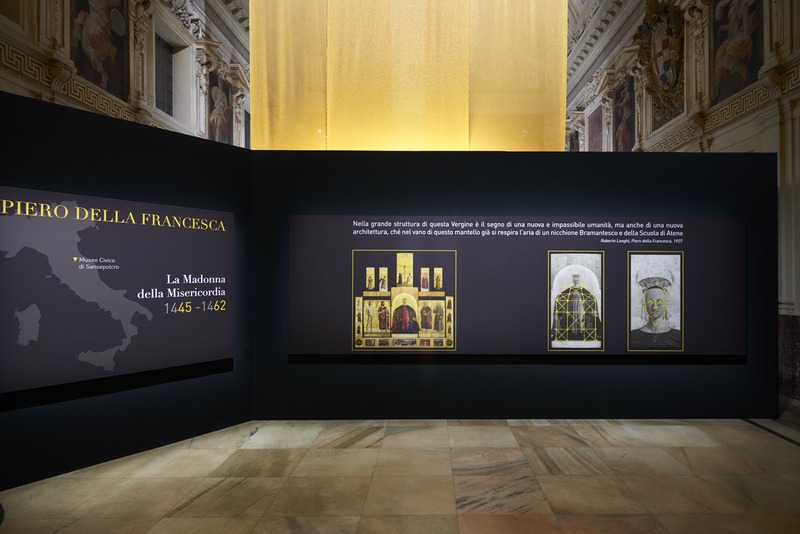 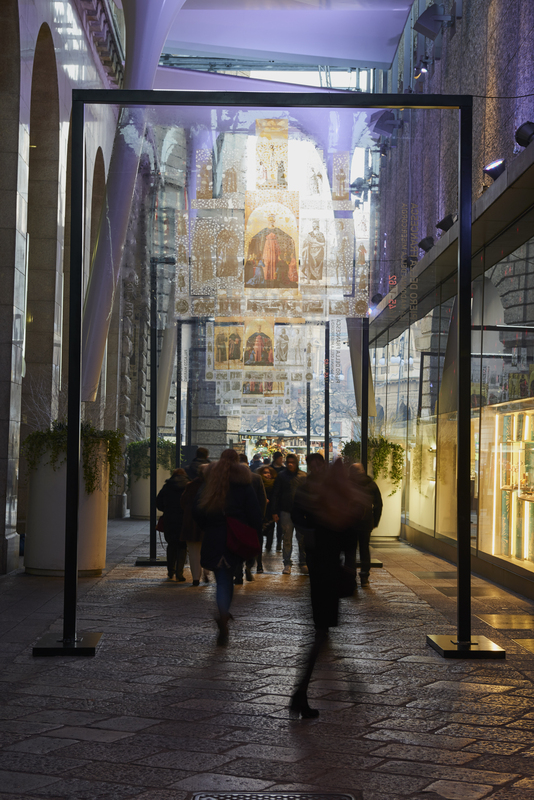 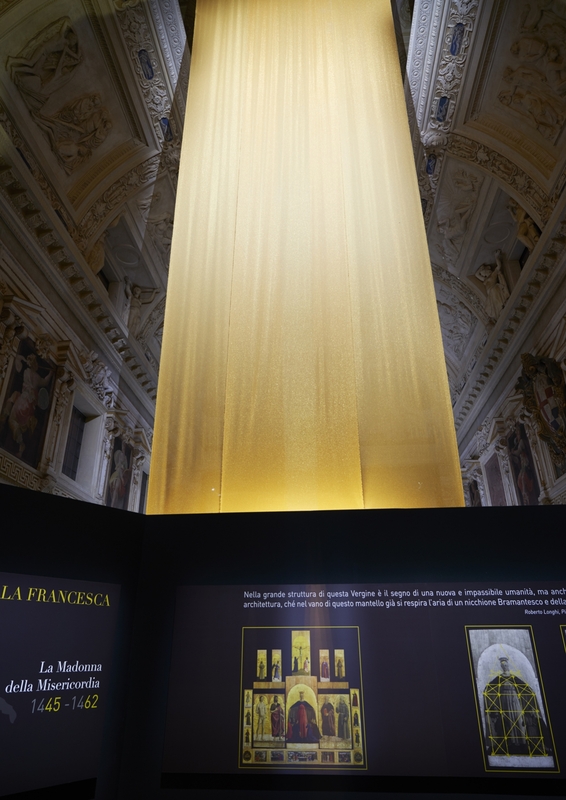 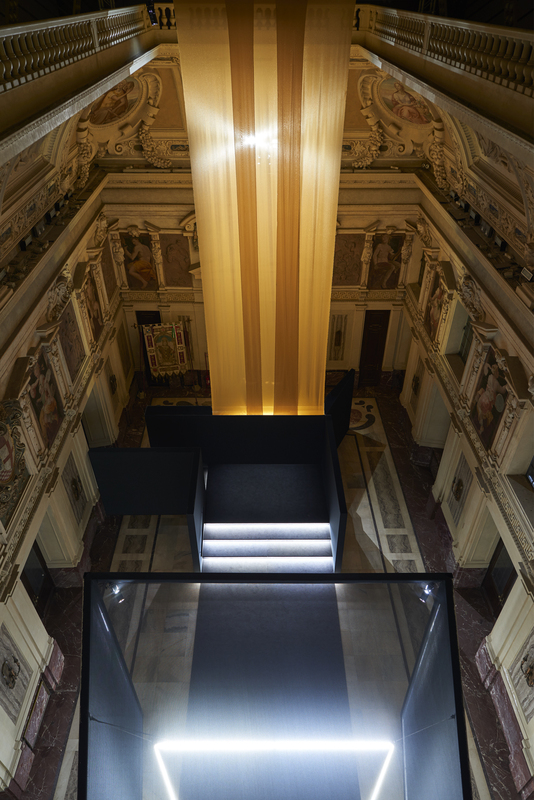 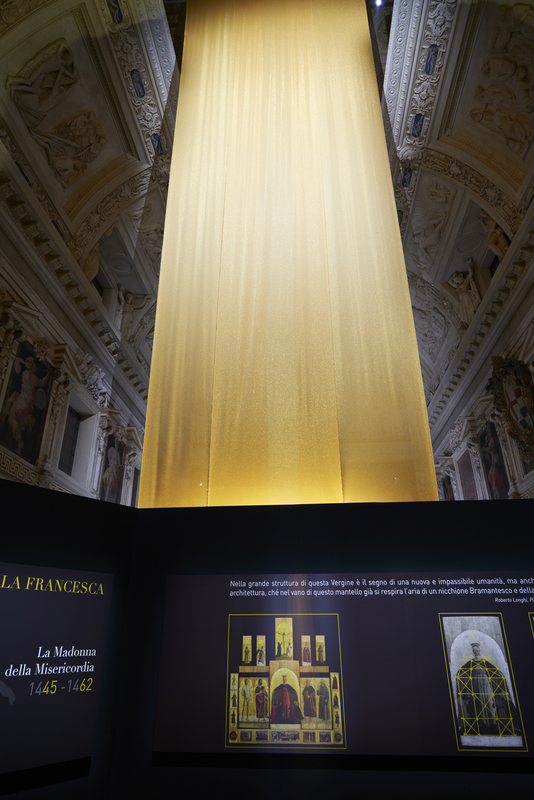 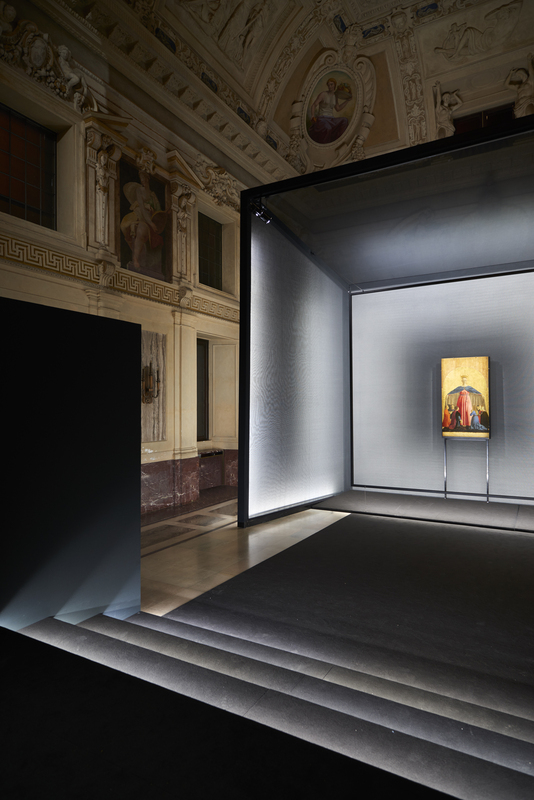 “Adapting the eye and the mind to understand the structure and the genesis of a great masterpiece, this is the aim of the approaching path designed for the exhibition of the “Madonna della Misericordia” at Palazzo Marino in Milano. 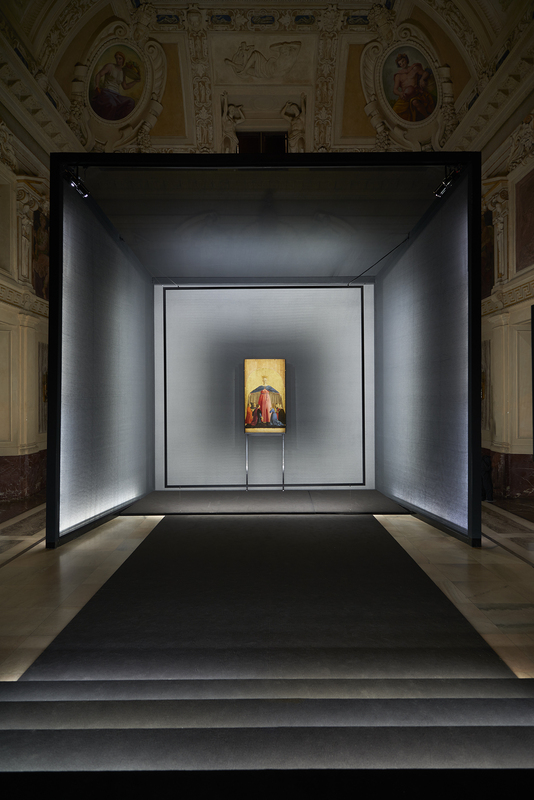 A narrative, meaningful itinerary, made of light and dynamism, which combines different heights and prospects in order to bring the visitors to face to face with the painted panel, with its being part of the polyptych that encloses it and with its history.